Home \ Sean Vigue Fitness and HASfit bringing Top Notch Fitness to the World! 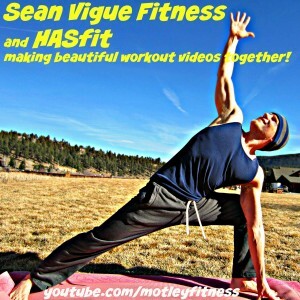 Train with Sean Vigue Fitness and HASfit! My friends, I recently partnered with YouTube giant HASfit as their official “Yoga and Pilates Guest Instructor”. This means I contribute one original workout per month to HASfit’s YouTube channel for the over 40 million (!) “HASfitters” to get their core strength and flexibility fired up! I’ll keep updating this blog with all the past and current videos posted to their site so you don’t miss a thing. I’m very excited about this partnership because Coach Kozak’s workouts are everything that I love: complete, original, challenging, fun, always changing, all levels and super convenient to do anywhere and anytime. Need a book to take everywhere? I’ve got the perfect one for you! Want more? Try my online training program FREE for 14 days: Sean’s Vault. Updated every week with new workouts! 30 Min Power Yoga STRENGTH Workout – Get ready to SWEAT! Enjoy and keep checking back for more videos! 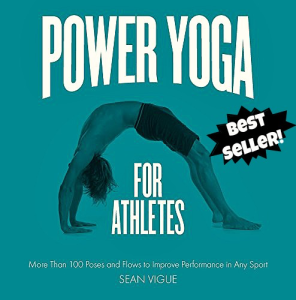 do you have any power yoga dvd? Hi John, I used to sell DVD’s but discontinued them a few years ago.